Lol I was thinking about this on my ride home a few days ago. Go figure. This is just a picture I found on Google Images. I woudn't call it a very good map, I just made it using bitmap convertor, paint, and that image from my last post. I like this map. Though it is a gif from google, the idea could be incorporated into a random maze generator. Non issue. 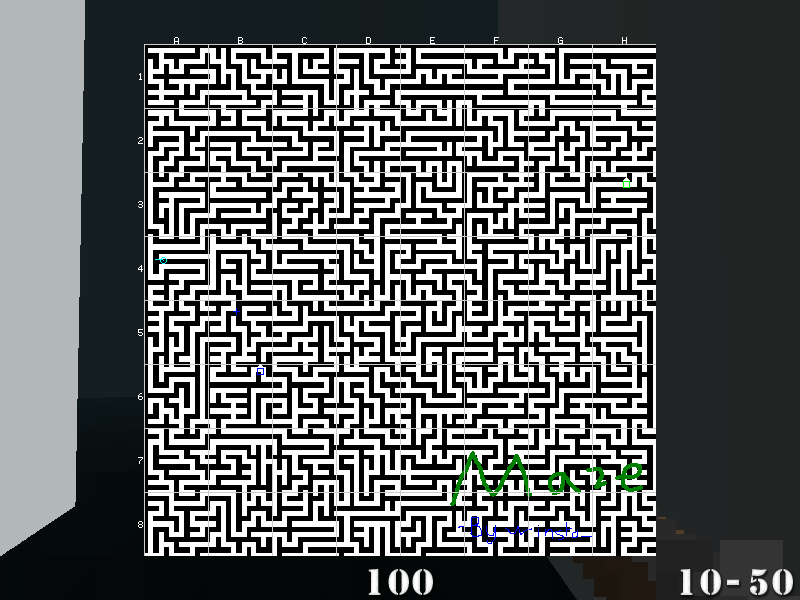 After half an hour it won't be a maze at all. 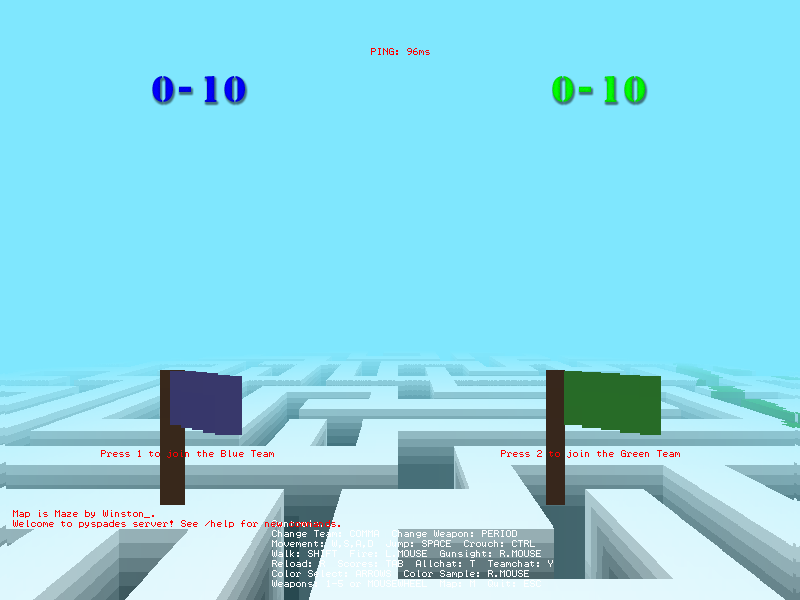 I thought that a maze could be used to 'puzzle' players in finding or avoiding opponents and survive as long as possible in the maze. Also, it's like a mouse and cheese for people looking for the intel. I love it. Tried to do it on CH server. For some reason nobody could join. Good work winston, maybe i'll try hosting it sometime. This + Zombies = WIN. This + Survival Mode = EPIC WIN. 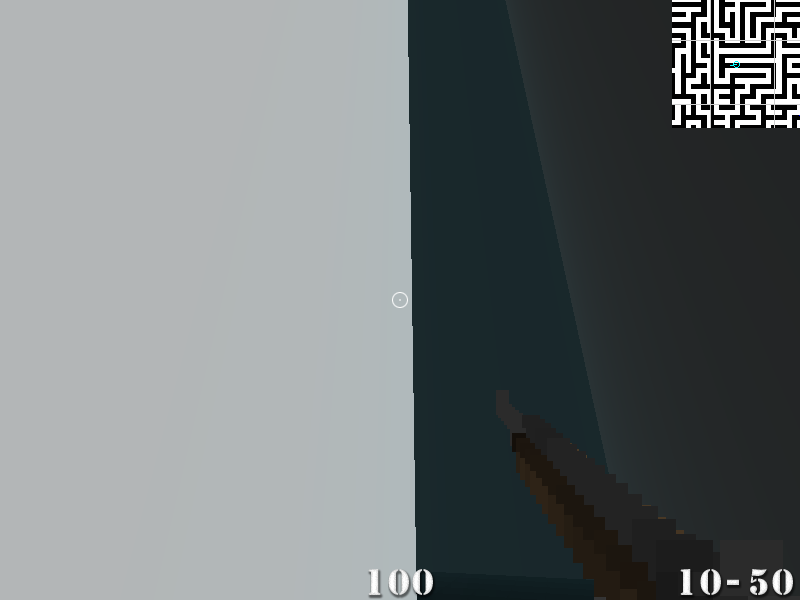 I was trying to make a really annoying maze map where you were in a maze but on the map you can;t really see where the heck you are going. The maze walls are the multi-hued part (hard to discern) and the floor is the checkerboard pattern. Anyways, glad to see your map-editing skills are coming along. This map doesent work on a server for some reason. Probably because it's a 13 Megabyte map. I couldn't tell you WHY it doesn't work but something strange is going on with this map. It might be too high. I loaded it into the pyspades map editor to look at it slice by slice and it seemed more or less in order and I was hoping to resave it and maybe that would work... but it crashed the editor upon saving which resulted in a map with zero bytes. Weird. Now, oddly enough, I went back to look at my map and it too is almost 13 megs! Not sure I ever playtested my maze. I think it was before I got the server working. My hunch is that we've simply made maps that have too many blocks or something like that. I have no idea what the filesize limitations on vxl maps in AoS would or should be. Let me see if I can fix it. Done, I think it was something to do with the source of the image. I just drew one and it worked perfectly. Colour it? I really dont like the black and white.